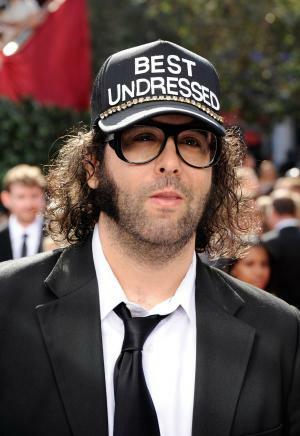 Judah Friedlander was born on the 16th March 1969, in Gaithersburg, Maryland USA, and is an actor and comedian, probably best known for his role as Frank Rossitano in the NBC sitcom “30 Rock” (2006-2013), and also in movies such as “American Splendor” (2003), and “The Wrestler” (2008). His career has been active since 1999. Have you ever wondered how rich Judah Friedlander is, as of mid- 2016? According to authoritative sources, it has been estimated that Friedlander’s net worth is as high as $3 million, earned through his successful acting career. In addition to being popular on the big screen, Friedlander also works as a stand-up comedian, which has improved his wealth. Judah Friedlander was born a son of Art and Shirley Friedlander and grew up in Maryland before moving to the New York City to study at New York University. He liked to make animated movies and draw cartoons as a child, and Judah first tried stand-up comedy at the age of 19 while at the college. Friedlander continued to work as a stand-up comedian throughout his acting career which started in 1999 in the TV series “Late Line”, in which he played Techie in three episodes. From the early 2000’s, Friedlander had roles in numerous series and movies; he briefly appeared in “Spin City” (2000), “Meet the Parents” (2000) starring Ben Stiller and Robert De Niro, “Wet Hot American Summer” (2001), “Zoolander” (2001) with Ben Stiller and Owen Wilson, and “How High” (2001). Friedlander later played in “Showtime” (2002) with Eddie Murphy and Robert De Niro, “American Splendor” (2003) starring Paul Giamatti, “Along Came Polly” (2004), and “Starsky & Hutch” (2004). In the mid-2000’s, Friedlander stayed busy and had roles in “Duane Hopwood” (2005), “Feast” (2005), and “The Darwin Awards” (2006) with Joseph Fiennes, Winona Ryder, and David Arquette, and in “Chapter 27” (2007). By the end of the decade, Friedlander had appeared in “Meet Dave” (2008) starring Eddie Murphy, Darren Aronofsky’s “The Wrestler” (2008) with Mickey Rourke, Marisa Tomei, and Evan Rachel Wood, and in Nia Vardalos’ “I Hate Valentine’s Day” (2009). However, his most notable role is as the writer Frank Rossitano in 138 episodes of the comedy series “30 Rock” from 2006 to 2013. In the last few years, Friedlander has had parts in “Beware the Gonzo” (2010), “Return to Nuke ‘Em High Volume 1” (2013), “Ping Pong Summer” (2014), and “Sharknado 2: The Second One” (2014) with Ian Ziering, Tara Reid, and Vivica A. Fox. Most recently, he appeared in J.J. Abrams’ “Star Wars: The Force Awakens” in 2015 and lately gave his voice to Sanford Buckwald in the animated series called “Bordertown” in 2016, which further increased his net worth. Regarding his personal life, Judah Friedlander is not married, and he doesn’t have children. He currently lives in Queens, New York; is a big fan of the New York Red Bulls, professional wrestling, and ping-pong, the sport that he played early in his life. He is well-known for his distinguished look; oversized glasses, shaggy hair, trucker hat, and the customized T-shirt. Friedlander usually uses this look when performing on stage, but he also uses it when performing on screen. Place Of Birth Gaithersburg, Maryland, U.S.